The first vlog appeared on YouTube in 2012. To date, there is an average of 2,000 vlogs uploaded to YouTube every hour. Obviously, vlog has become a popular way to keep track of our daily lives and share with the world. Raw footage always needs to be edited before we upload it to YouTube or some other video sharing site, thus making it a great vlog to get a lot of hits and even followers. Well, what program do the vloggers often use to edit crude videos? 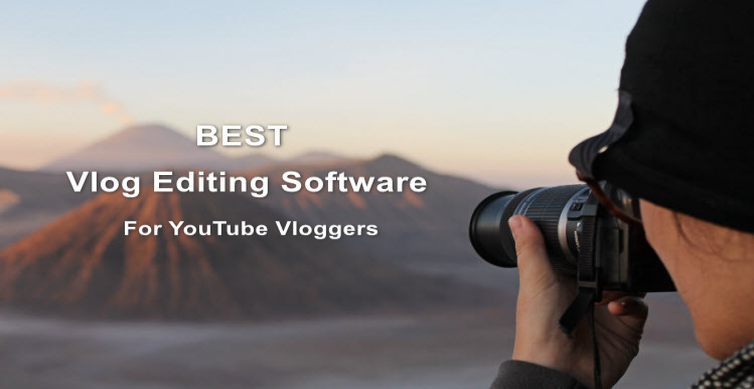 Below we list 6 vlog editing software that vloggers commonly use. Both free and paid programs are covered. 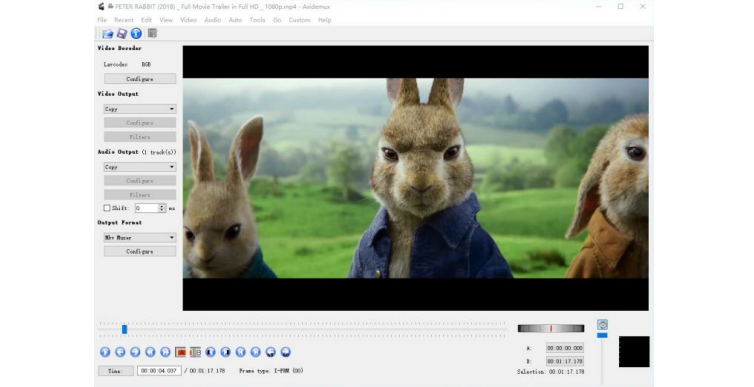 Windows Movie Maker (or its successor Story Remix) is a free built-in video editor on Windows. Although Microsoft has ended the support and download service for this program, you can still use it for creating vlog if you haven't uninstalled it. Requiring no technology skills, Windows Movie Maker makes it simple to cut videos, add titles, effects, transitions, etc. It embraces a lot of video or audio formats. If you're a beginner, this is a great choice. However, it may be unable to address the needs of advanced users, because of its limited options. If you have updated to Windows 10 Fall Creator's Update, you will find the successor to Windows Movie Maker - Story Remix - in the existing Photos app. It can help you edit vlogs with music, text, motion, filters, and 3D effects. Sony Cyber-shot DSC-RX100 series are also very much in favor as a compact 4K vlogging camera for YouTubers, especially those who are devoted to upload their lifestyle vlogs like travel and adventures. The latest RX100 VI sits at the top end of price range by an impressive upgrade of broad zoom range, lighting-fast AF performance and touchscreen functionality. Given the ultra-popularity of the RX100 series for vloggers, it doesn't disappoint when it comes to video capture. It is ready to tackle any situation that comes your way with the support of capturing in 4K footage at up to 30p and in 1080p super-slow motion at up to 120fps. The camera is also compatible with 4K HDR video owing to its up-to-date HLG picture profile. There are also downsides disappointed its target user of vlogging, such as the limit of five-minute video in 4K and no external microphone port. On top of all that, the price point is the biggest issue so you can check the previous RX100 V to save on your budget. Lightworks is a multi-platform vlog editor which has both Free version and Pro version. Lightworks Free allows you to edit vlogs and export up to 720p web-compatible MPEG4/H.264 file with optional direct upload to YouTube, while Lightworks Pro supports more output formats and higher resolution up to 4K. This YouTube vlog editing software offers a whole bunch of features, including trim, color correction, apply transition, add visual effect, multicam editing, and more. To speed up processing efficiency, Lightworks grants vlog makers to continue editing whilst importing a batch of material, rendering complex 3rd-party FX or exporting two files simultaneously to favorite format. Avidemux is a free and open-source vlogging video editor compatible with multiple operating systems. It accepts variety of video file formats such as MP4, AVI, MKV, MPEG-2, ASF, H.264 and H.265, and allows you to cut, join, transcode, apply filters, insert audio stream, etc. But if you need to perform some advanced tasks such as transitions, you're better off with a tool like Adobe Premier Pro. Adobe Premier Pro is a professional video editor which has been used to edit some commercial movies, Gone Girl and Deadpool for instance. 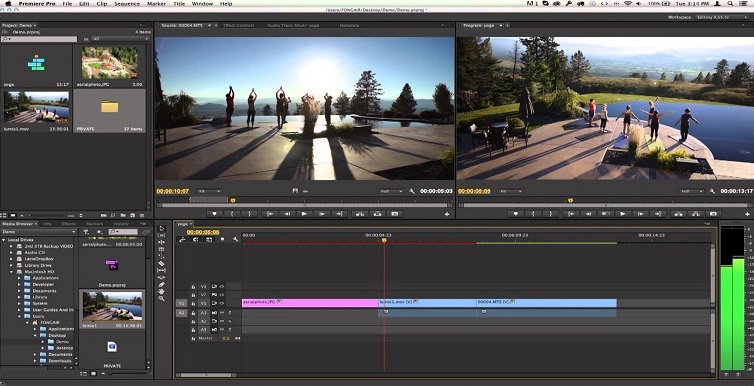 No matter what you want to do with your vlogs, you can realize it with Adobe Premiere Pro. Professional as it is, it offers an easy way to conduct some basic vlog editing tasks, like applying transitions and trimming videos. Advanced users can combine Premiere and other Adobe programs to add audio from Adobe Audition, special effects from After Effects, and imagery from Photoshop. 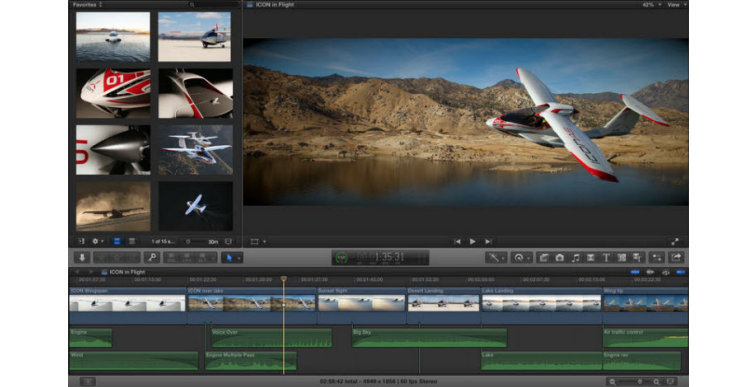 In addition to regular videos, Adobe Premiere Pro can cope with 8K, VR, and 360°videos. The disadvantage of Premiere is that it is very pricy, $20.99 per month. If you just need to perform some simple video editing tasks for vlogging, you don't have to buy a high-priced vlog editing tool. 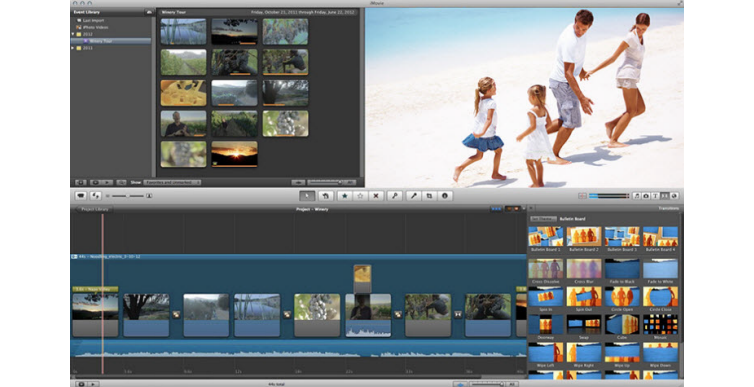 Final Cut Pro is another highly-recommended powerful video editing program that is popular with advanced vloggers. Look at its features list, and you'll be surprised to find that it covers nearly all editing functions you need, from primary level to professional level editing. It uses advanced metadata for fast and simple editing, allows you to attach B-roll, sound effects, and music to timeline, create, edit, and deliver closed captions, edit multicamera projects, deal with 360° equirectangular videos, 4K, and 5K videos, etc. Notice, however, that this vlog editing software has very high requirements for Mac computer configuration. Small RAM will result in lagging from time to time, especially when you edit 4K or higher-resolution videos, 3D titles, and 360°videos. Stay ahead of the game. Get free tips and updates to your inbox! Create video and optimize for socials - just as easy. いち-に-さん-しStart a vlog with Vlog Ninja!